This show is like The Shining for hypochondriacs. And it is super great motivation for staying on your diet. Also great motivation to never travel to South East Asia or eat raccoon poop. The first episode deals with an infant who got round worm and went blind. I cried and then washed my hands four times. 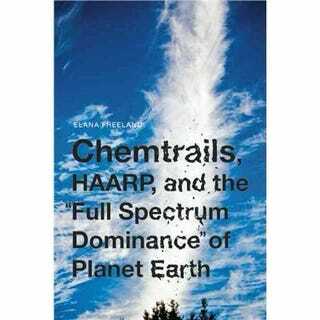 Speaking of monsters inside me, I hooked up with a guy last night and, while cleaning up broken glass (it was quite an evening) I discovered a book about chem trails.